Jason Mraz made his Broadway debut on November 3 in the hit musical Waitress. The two-time Grammy-winning singer-songwriter is serving up Sara Bareilles' Tony-nominated score eight times a week. 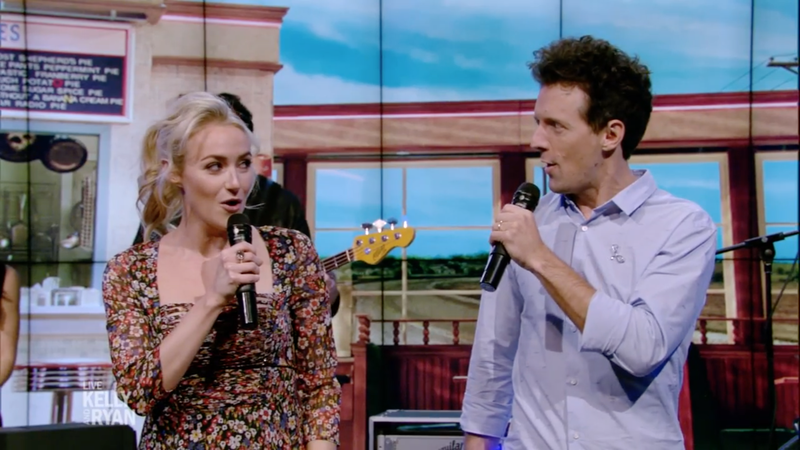 Mraz joined leading lady Betsy Wolfe for a visit to Live with Kelly & Ryan on November 8 to show off Bareilles' super-sweet duet "Bad Idea." Give a watch to the perfectly paired Mraz and Wolfe below and make your way to the Brooks Atkinson Theatre soon to see their performances in person.